A couple months ago Living Social had a credit for Neiman Marcus Last Call. Of course I told my friend Yalanda at We Laugh Anyway all about it and she had a brilliant idea. Yalanda thought it would be fun to use our giftcards to buy things for each other. So we exchanged sizes and the only restrictions we put on the swap was a max of $5 over the giftcard. Now that we have the items and exchanged them we are showing how we styled them! She got me this adorable olive moto jacket. I have a similar one in black, but it is in sweatshirt material and a little too bulky to wear as anything other than a jacket. This one is more fitted and has lots of cute zipper detail! This time I wore it as an extra layer over a dress, but I can easily wear this with jeans or a skirt. I am excited to wear this more as the weather cools down this fall. 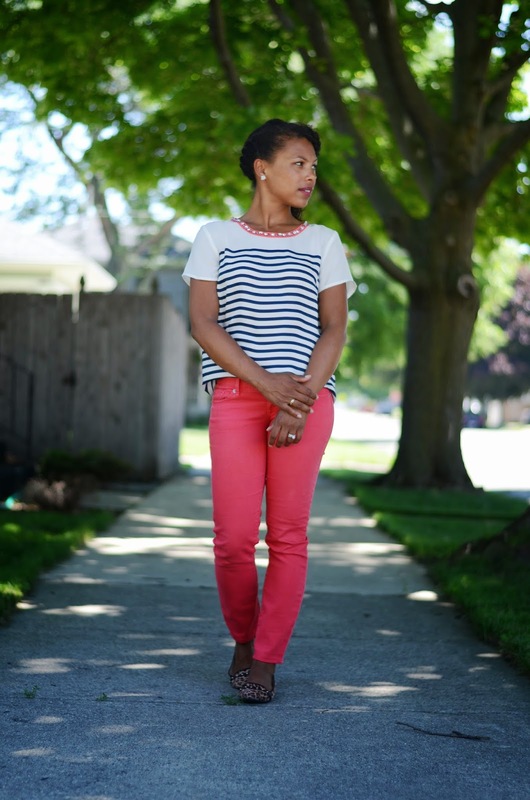 I took forever to decide what to get for Yalanda and looked through a ton of options, but kept coming back to this striped top with pretty coral and jeweled detail at the neckline. It is also available in a gray stripe with yellow detail. I loved the fabric and dressier look of the striped tee. 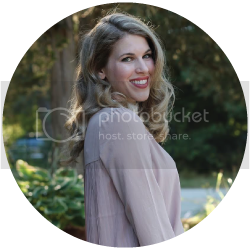 Check out how she styled it here! 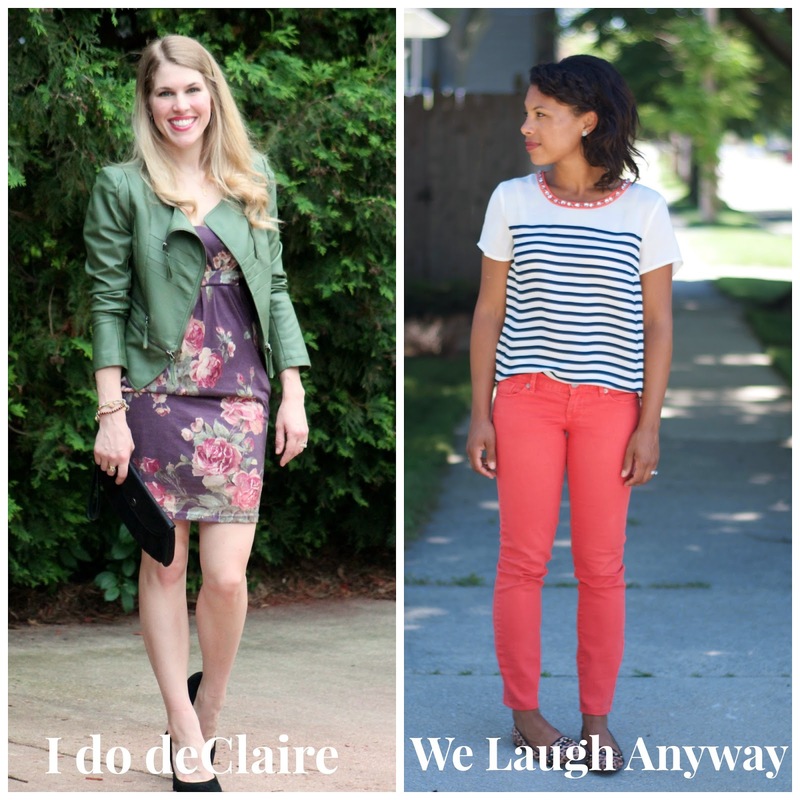 Don't forget to link up a post to Confident Twosday and enter the giveaway for $50 to White Plum! 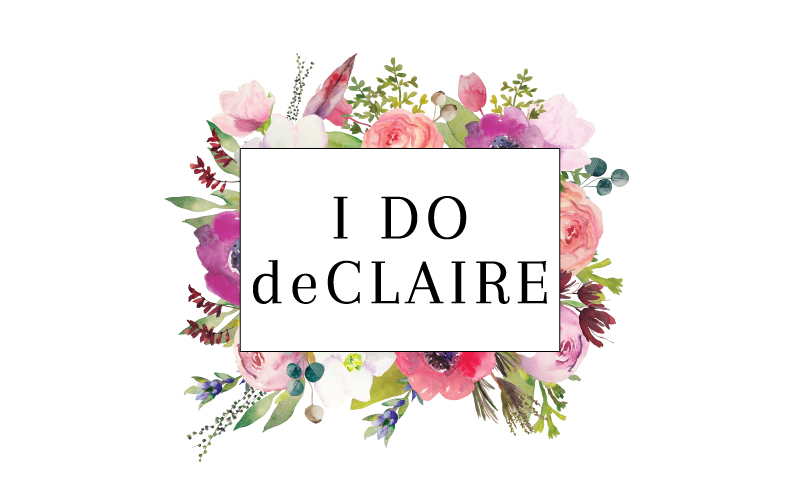 Use code IDODECLAIRE for 20% off! you both look gorgeous, love your vintage-y floral dress. This is such a great idea! You two picked great gifts for each other. This jacket is seriously amazing, and I love it with the purple dress! Such a fun idea! I love this jacket it's so unique! You look great! What a fun idea! You both ended- up with really cute pieces, too! You both look great. What a fun swap idea. What a fun idea! I love both looks! So fun! You both look fab, especially loving your dress with the utilitarian jacket! Fun idea!! Loving both these looks-such a great floral dress on you! ooo what a fun idea! Your jacket is super cute and I love how you have it styled over your dress! I love those suede pumps! So classy. I love this idea! You both look fabulous. I love your jacket! It's not only a great idea but also two great outfits turned out! I would love to have an olive jacket like yours. The one you linked after has a green color that not quite as fresh as yours. I did some searching and here's a link to the same one on sale! Great idea to buy for each other! I love both items you all chose for each other. You're so right that the moto jacket will be a great layering piece for fall! What a fun idea! Love your moto jacket. That will be so versatile. So fun! You both got awesome items!! You are so sweet! Thank u very much! I am placing my order now. I could not believe it, I went through the purchasing process online and submitted my order, a message popped up telling me it is not in stock anymore. That is strange! Glad you were able to get it though!